Christmas is not a time, nor a season but a state of mind. To cherish peace & goodwill, to be plenteous in mercy, is the real spirit of Christmas. Today, 21 December, we at St. Claret School ushered in the festive season with a grand assembly programme which filled the campus with the spirit of Christmas. The tiny tots of nursery mesmerized the audience with their energetic Christmas dance. 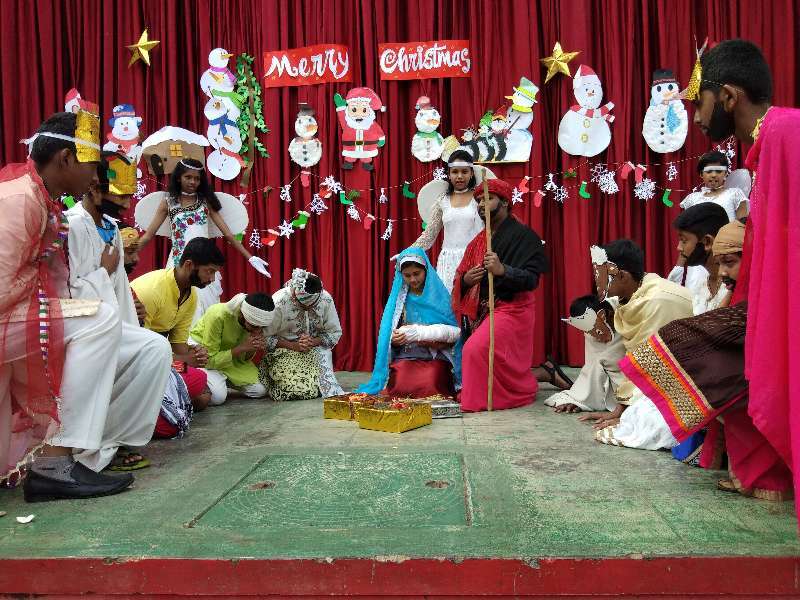 The Nativity skit performed by the lime light club members added splendor to the programme. The Christmas carols & the arrival of the Santa led the audience into a state of euphoria. Magician Augustin & Marketing Manager of Snow City Mr. Anilash were in our campus to organise a magic show which was an added attraction to our Christmas celebration. An added attraction was a special guest from Germany Ms. Maike who witnessed the entire programme and advised the children to spread the message of peace & love. Ms. Maike also honoured the academic achievers from LKG to Class 4. Students of Class VI performed a foot tapping jolly dance to enhance the spirit of Christmas. Our School has been gearing up for Christmas since the beginning of this month, with each class vying with the other to create the best yuletide decoration and crib keeping in mind their duty towards the environment. The classes were then judged for their Eco friendly decorations, the results of which were announced during the program. Amidst loud cheers and wild claps, Ms. Maike awarded the classes which displayed their best Christmas decoration. The award for the best decorated class of the whole school was proudly received by Mrs. Josephine Shushant and her Class V C. The programme concluded with a Christmas message from our beloved Principal Rev. Fr. Joshi.